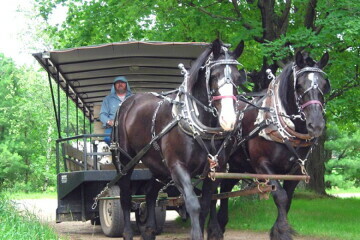 Offering wagon and sleigh rides through beautiful woodland scenery for groups of all sizes. Gatherings of 16 or more can enjoy bonfires, picnics, and meals in the woods. Two pavilions allow groups to sit around a bonfire to toast marshmallows and sip hot chocolate.